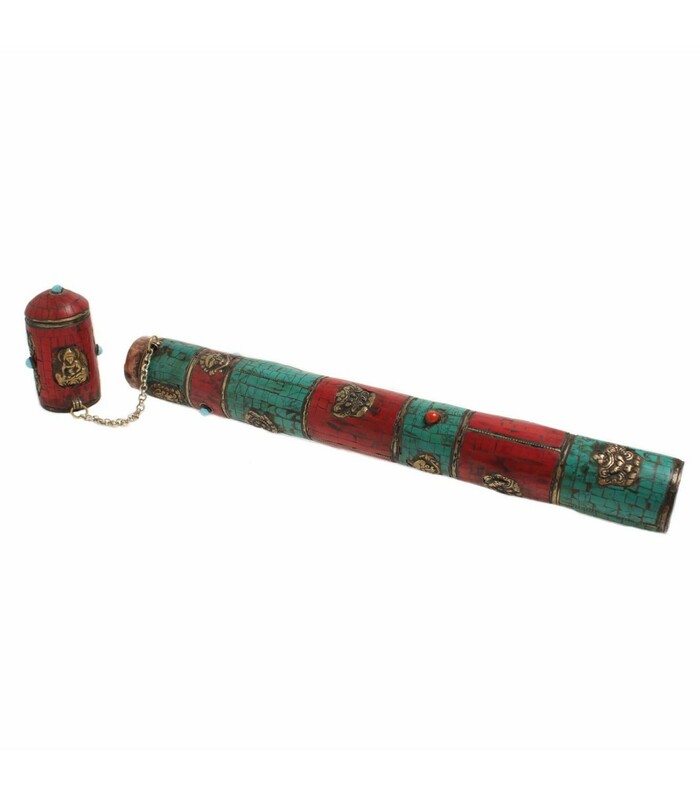 In ancient times important hand written letters were rolled and dispatched in metal cylinders. 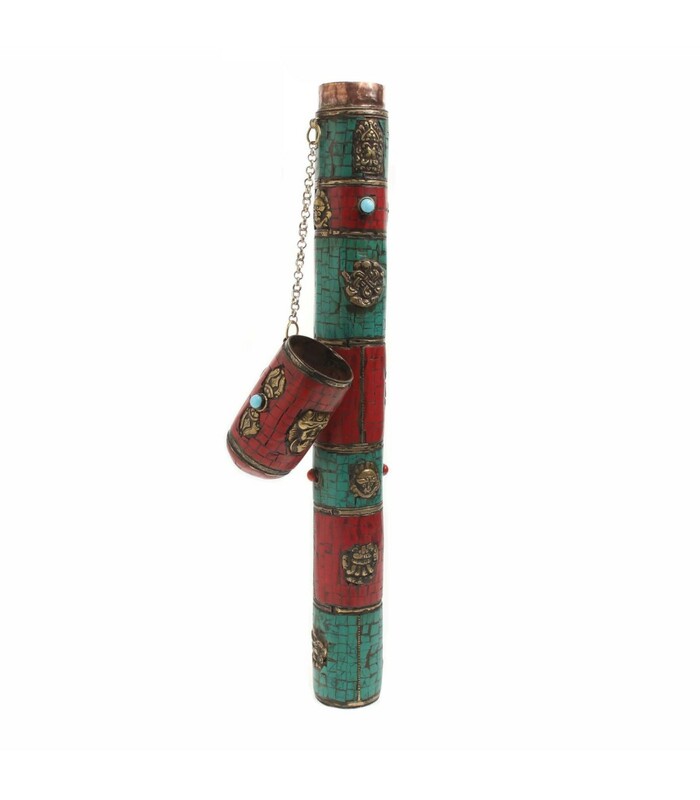 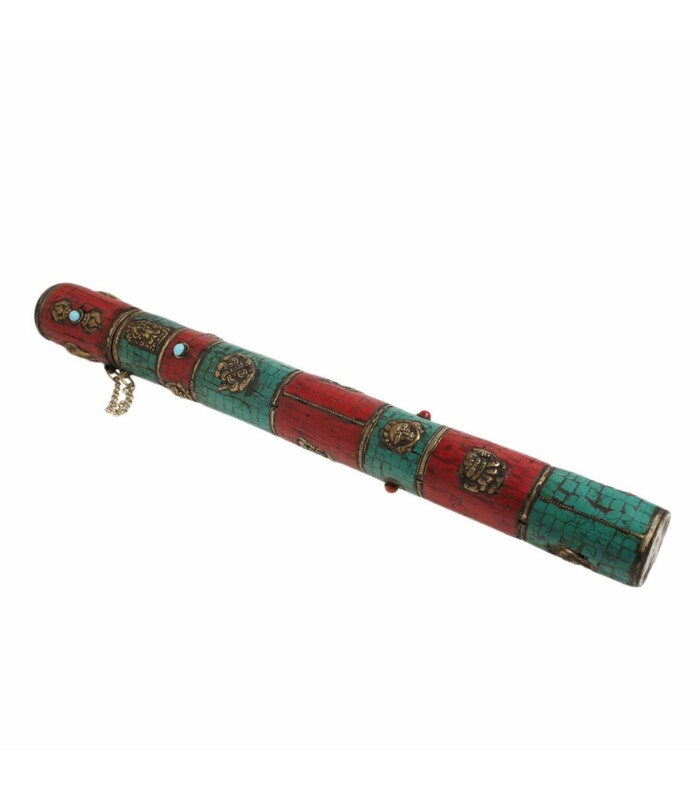 This message delivery cylinder is hand crafted and is adorned with resin stones and Buddhist symbols. 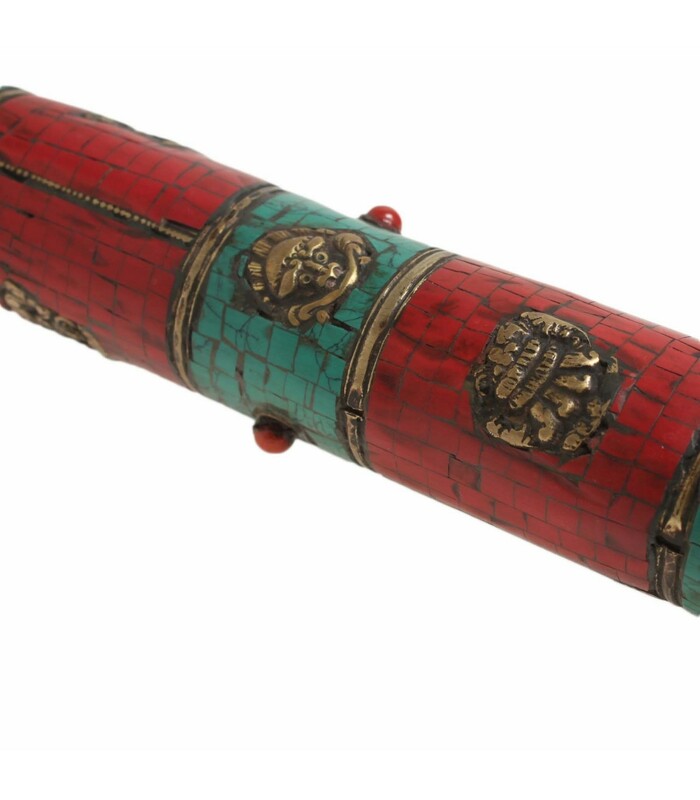 The lid can be opened to insert the paper.